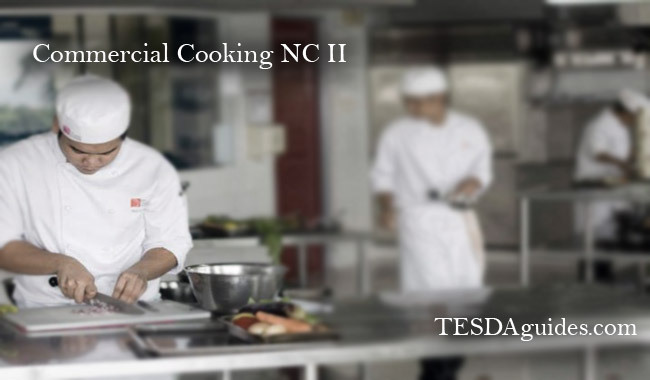 Commercial Cooking NC II is one of courses offered by the Technical Education and Skills Development Authority. 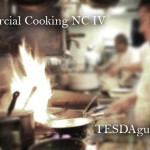 This training program will guide you several techniques or way to prepare beverages/ drinks in a commercial settings like restaurant, bar and hotel. 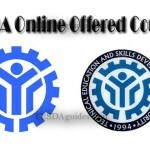 You will also learn on how to cook, prepare or serve food listed in menu, portioning/ weighing meat cuts, food presentation procedure, good customer service techniques and process, receiving kitchen supply, and food recipe preparation. 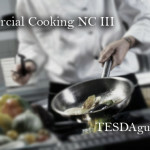 Course duration (Training time that will be consumed): Commercial Cooking NC II takes 436 hours to finish. You can apply as a Restaurant Cook. I personally worked in a 5 star restaurant as a cook in our location; we strictly follow the restaurant guidelines to avoid any unwanted feedback from our customers. We do follow the 15 minute rule which we need to bring the food we had cooked/ prepared before 15 minutes to avoid time delay. I’m handling the Filipino Delicacy and grilling station, our top of the line/ bestselling food is Inihaw na Liempo (Grilled Pork Belly), Inihaw na Spareribs (Grilled Spareribs), Baby Back ribs, pork barbeque and our native food Pinangat ( A Filipino Dish, dried fish combined with shrimp paste with crushed chili pepper cooked and wrapped in gabi leaves). 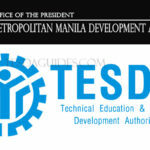 What requirements do i need cause i want to expand my experties. i’m trying to enroll my nc2 for chief cook but they told me to take nc3 for asst.cook, cook, and chief cook. which is the nc2 is for messman, steward, so what is your opinion for this matters bec. 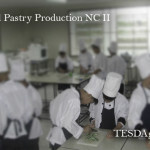 my agency insisted me to take nc2 only is this still honor for chief cook? what is NC mean in NC II?